Though I have always claimed that So-Saree is a Blog Not Just About Sarees, but then.. I can't deny the fact that Saree is my favorite piece of clothing, and I just can't get enough of it. So every now and then, you will see saree posts on the Blog, whether you like it or not. On So-Saree, you have already seen how the West wears it, how our Goddesses wear it, and how my Friends wear it. Now have a look at how our political figures wear it. 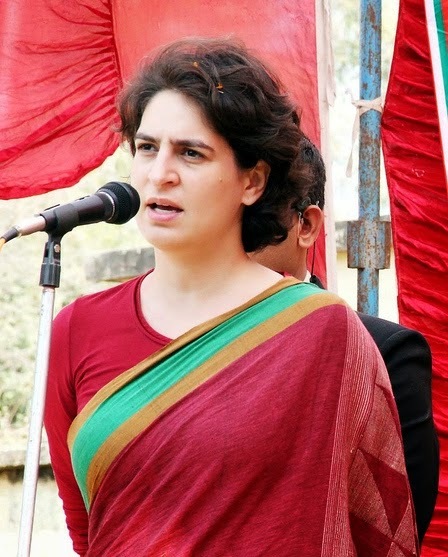 Priyanka Gandhi is the great grand daughter of Pandit Jawarharlal Nehru-The First Prime Minister of Independent India, grand daughter of Indira Gandhi-The First and only Female Prime Minister of India and daughter of Rajiv Gandhi- again a Prime Minister of India. 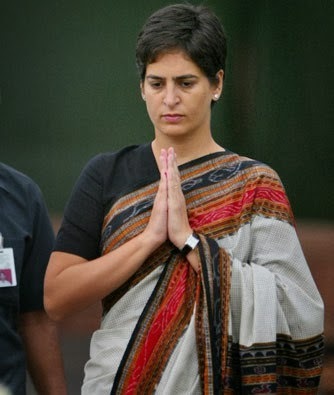 In spite of such a strong political background, she has stayed away from politics for all these years. 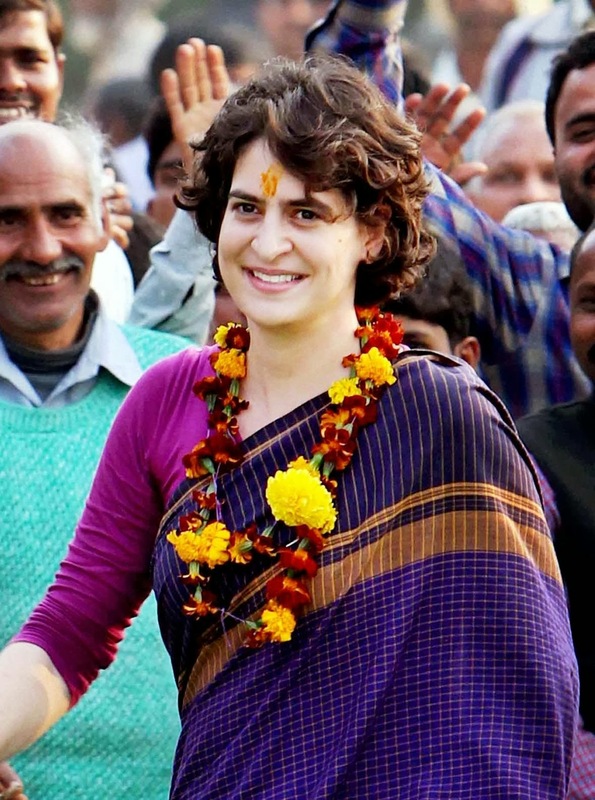 Her political stints are limited to her pre-election rallies for the Indian Congress Party. But, today I am not here to discuss her political career or views. 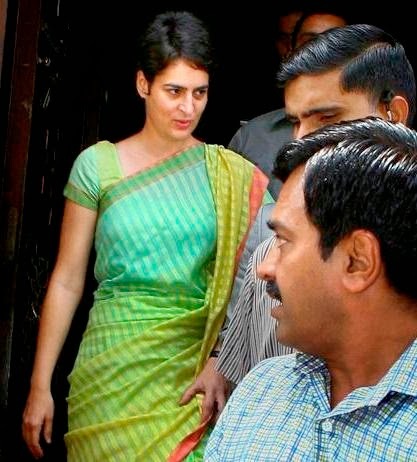 I am here to appreciate her choice of sarees. Scroll down and see for yourself. 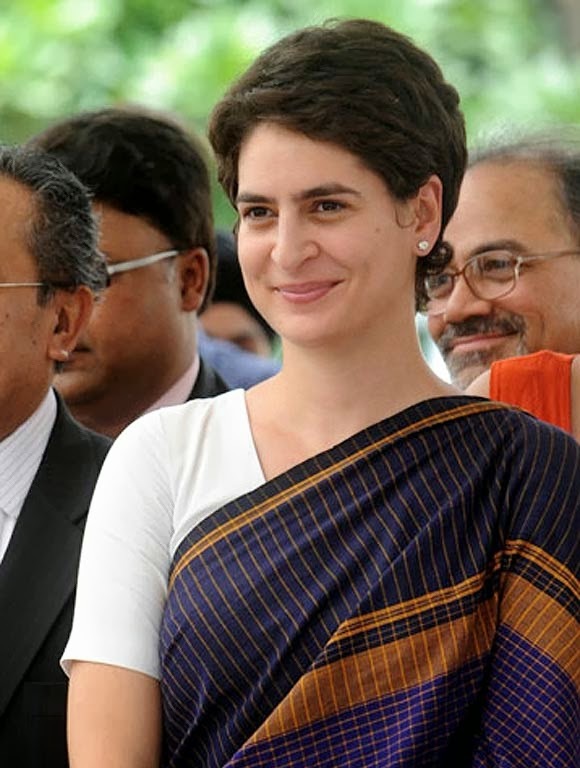 From the pictures above, you will clearly see her love for hand loom sarees which she has definitely inherited from her classy Grand Ma - Indira Gandhi. 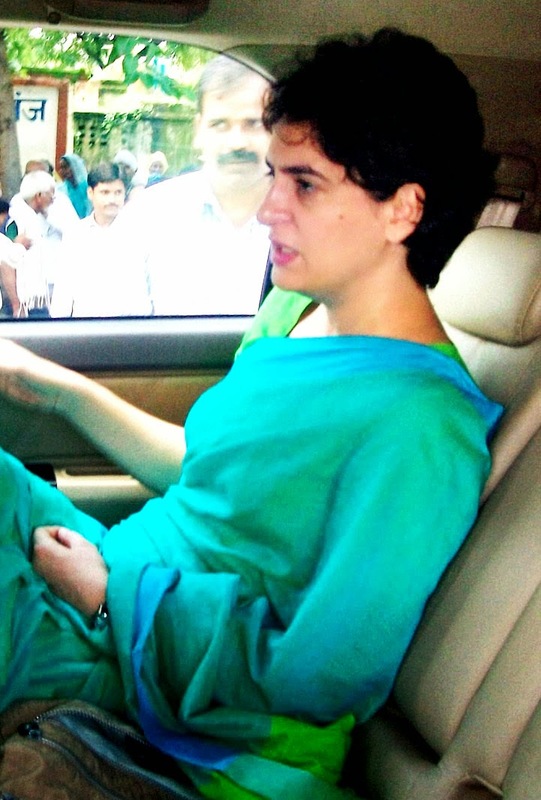 I am so much in love with her simple and sophisticated choice of sarees, that I had to do this post. Disclaimer:I do not own the images used in this post. So true! I was reminded of her grand mom during all the picture... she actually looks like her so much! Gore Rang pe sab chamakata hai.... What a big deal!!! And who said she is away from politics... 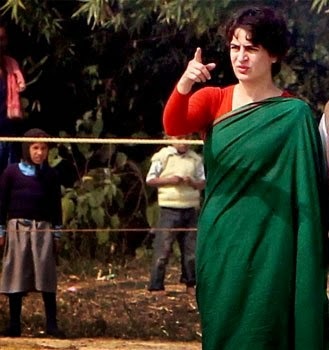 I would say she is among the master minds of Congress who are currently in active politics. 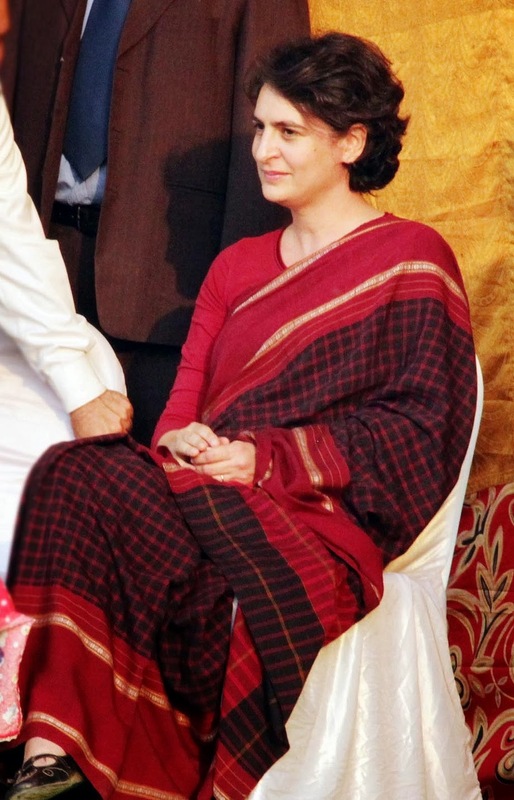 Love the sarees that she wears. They are simple and elegant! Gr8 post ! Nice saree she wear. Great info like to read & enjoying reading thanks for your time for writing useful post about it. This is really amazing article. Here you may provide really all information of this turning point. I am happy to got full information in this article.